Hamby Home(in)stead ...: Every last drop! 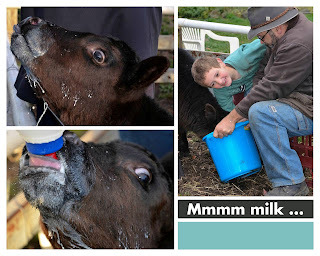 Tea was fairly quick to accomplish drinking her milk from a bucket. 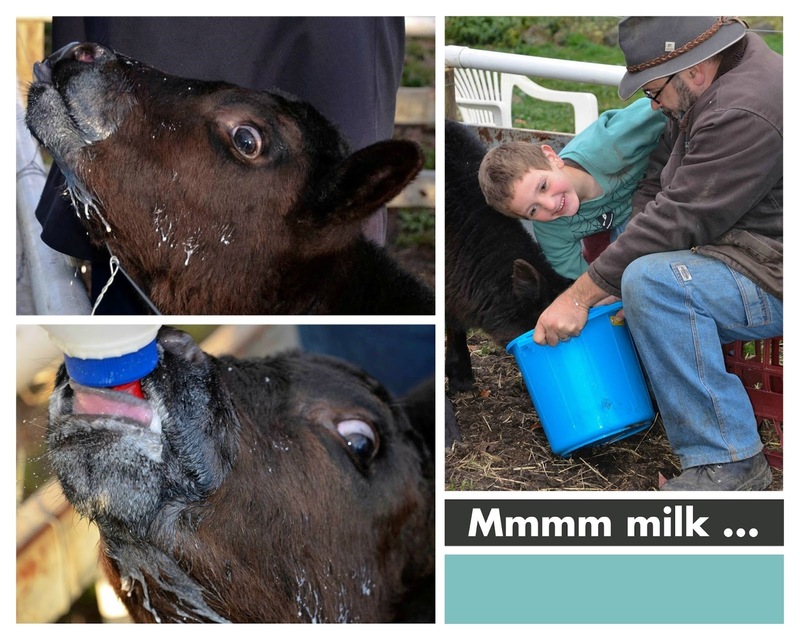 (We just assumed she would learn how to do it but seemingly some calves never progress further than using a bottle). In the early days though, it was a messy operation and she couldn't quite manage to get the last few cups of milk from the bottom of the bucket. That small amount was decanted into her bottle to ensure she drank every last drop - which she did!